Yes, yes, y’all and you don’t stop! Netflix is not playing. It is an absolute must that you check out the Roxanne Shanté Biopic, Roxanne Roxanne when it drops Friday, March 23rd. 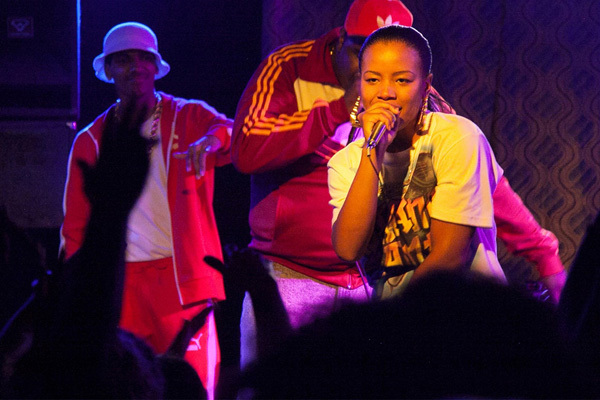 The film deftly tells the story of pioneering female emcee, Roxanne Shanté and takes you behind the bright lights and the stardom. Brought to you by the producers of Fruitvale Station and Dope, the film boasts a talented cast that includes Mahershala Ali, Nia Long, Chanté Adams as well as Washington Heights’ own Elvis Nolasco. Roxanne Roxanne is a good look for Hip-Hop. So there you have it.